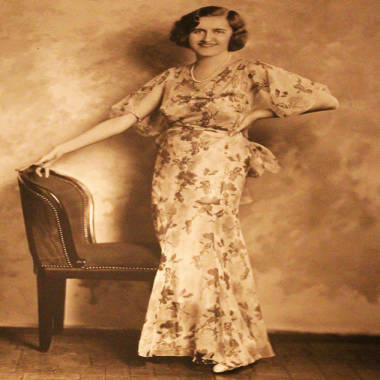 NEW YORK – A proposed settlement in the $300 million estate of the reclusive heiress Huguette Clark would give more than $30 million to her relatives, most of whom never met her. The deal would give nothing to her longtime nurse, who would have to pay back $5 million of the $31 million that she already received in gifts while Clark lived. Huguette Clark poses in a Japanese print dress in about 1943, when she was 37. The largest beneficiary of the deal would be a new charity, as Clark directed in her will. A cornerstone of the settlement is preservation of her beloved home in Santa Barbara, Calif., as the base for a foundation to benefit the arts. The foundation begins its life, however, with financial uncertainties that ultimately could force it to sell the property. Huguette (pronounced "oo-GET") Marcelle Clark was the youngest daughter of former U.S. Sen. William Andrews Clark (1839-1925), one of the copper kings of Montana and one of the richest men of the Gilded Age, a railroad builder and founder of Las Vegas. His youngest child Huguette, born in Paris in 1906, was a shy painter and doll collector who spent her last 20 years living in simple hospital rooms. She attracted the attention of NBC News in 2009 because her fabulous homes in Connecticut, California and New York sat unoccupied but carefully maintained. The settlement is being quarterbacked by the office of New York Attorney General Eric Schneiderman. The attorney general's spokesperson would not comment. The head of the attorney general's charities bureau, Jason Lilien, has told parties in the case that his office was working aggressively to protect the charitable interests. Besides the charity, the sure winners from the Clark copper fortune are the lawyers, because a settlement ensures that they get paid. The Clark estate would pay $11.5 million in legal fees for the relatives, and another $11.5 million to the attorneys for Clark's lawyer, who defended her last will and testament. Another $1.5 million would go to the nurse's attorney. A deal would guarantee a payday for the law firms, and avoid the additional costs of a six-week trial involving more than 60 attorneys at rates of $1,000 an hour or more. The settlement assumes that the Internal Revenue Service will cooperate by lowering the estate's tax bill. Clark was so relentlessly generous to her staff and friends that she died owing the IRS $82 million in gift taxes, with the bill rising $9,000 per day from penalties and interest. The settlement is premised on the hope that the IRS will forgive the penalties, estimated at $16 million to $18 million, because the settlement mostly benefits charities. If the IRS insists on collecting the penalties, that bill will lower the amount flowing to the foundation and could require it to sell the California property. In addition to the Clark summer home, valued conservatively at $85 million, a Bellosguardo Foundation would receive Clark's $1.7 million doll collection, which had been left to the nurse, and $4.5 million in cash. The family and others in the case had insisted that the property be sold, but the attorney general said no. This would be a New York foundation and its board of trustees would be organized by the attorney general's office. The Clark relatives would get one seat on the board, and the Santa Barbara community would also get seats. Although the Santa Barbara property goes to charity, as Californians have urged, the settlement plan angered the former mayor of Santa Barbara, Sheila Lodge, who was expected to testify about letters she received from Huguette Clark expressing how she wanted Bellosguardo to be preserved. Lodge is co-chair of a Santa Barbara group called the Friends of Bellosguardo. Speaking as an officer of the recently formed foundation whose attorneys were excluded from court, Lodge criticized the New York attorney general, saying he has not sided with the charities. "In fact, however, the New York attorney general has done no such thing," Lodge wrote in a statement. "He has already approved a settlement agreement which would saddle the foundation with tens of millions of dollars of legal fees incurred by those who objected to the will, as well as all tax liabilities in connection with the proposed settlement, which could amount to millions more." The current mayor of Santa Barbara, Helene Schneider, offered a more optimistic statement. 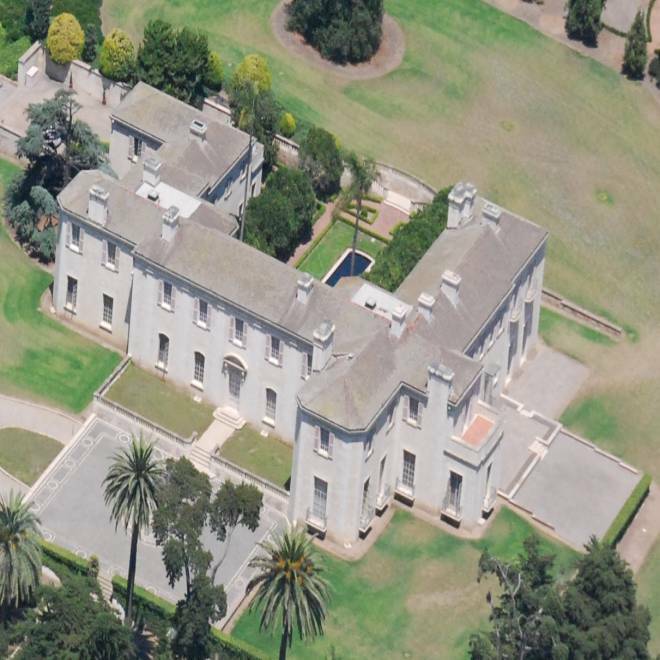 "It's apparent that Ms. Clark kept Bellosguardo in immaculate condition for the last 50 years even without visiting. To me that means she cared deeply about this community. I sincerely hope that Ms. Clark's genuine wishes are reflected in any final judgment." Clark's private-duty daytime registered nurse for 20 years, Hadassah Peri, 63, would receive nothing beyond the gifts that Clark gave her while she was alive, and would pay back $5 million. The immigrant from the Philippines worked 12 hours a day, seven days a week, for many years, before moving to eight-hour days. She was paid $131,000 a year. Her attorney, Harvey Corn and the firm Greenfield Stein & Senior, would receive $1.5 million in fees. Clark's attorney, Wallace "Wally" Bock, 81, and her accountant, Irving H. "Irv" Kamsler, 66, would receive nothing. They had been ready to give up their $500,000 bequests to allow them to testify for the will. More importantly, they lose their chance to be executors of her estate, a role that would have paid them each about $3 million. Criminal investigation of Clark's finances found no basis to charge either with a crime. Clark's goddaughter, Wanda Styka, 70, would receive $3.5 million, far less than the $8 million or more she would have gotten under the will. The daughter of Clark's painting instructor, Tadé Styka, she didn't see Clark since the 1950s but sent gifts and wrote letters in a flowing cursive that Clark liked to show off to doctors. The Corcoran Gallery of Art in Washington, D.C., would receive at least $10 million. The favorite museum of the Clark family, the Corcoran had been left a Monet painting from the "Water Liliies" series, valued at $25 million, but the Corcoran took a position against the will that would benefit it. Siding with the Clark family, the Corcoran claimed that Clark was incompetent, yet it is gaining from a bequest in her will. Clark's papers would go to the William Andrews Clark Memorial Library in Los Angeles, which was donated by Huguette's half-brother W.A. Jr. to UCLA in honor of their father. The estate would continue to be run in the short term by the New York public administrator, a public official who has been the temporary administrator. The mysterious oceanfront home of Huguette Clark in Santa Barbara, Calif., called Bellosguardo for "beautiful lookout, could become an arts institution under a proposed settlement of her estate.